This is what you have been looking for! 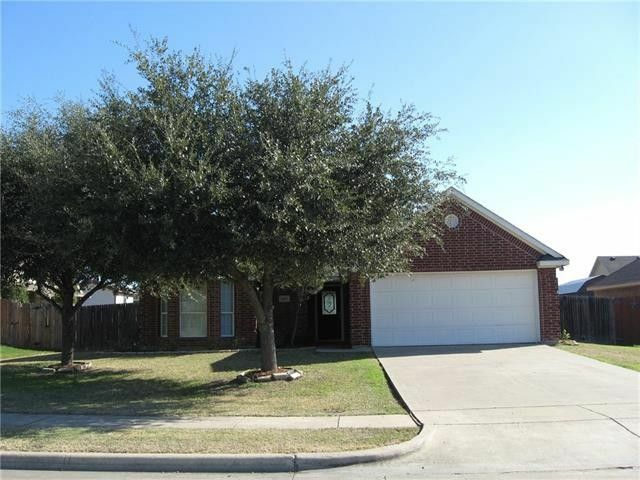 Very well maintained home in Prairie Creek in Kaufman ISD. Full brick home in a nice neighborhood. Fresh landscaping and mature trees will be the first thing you will see, and an upgraded front door. You will love the open floor plan with a large LR, wood burning fireplace with mantle. A new soft grey carpet has just been installed through out the home. The kitchen has tons of cabinet and counter space that is connected to the breakfast room which overlooks the large backyard! Master suite is a nice size and features a bath with garden tub,split closets and double sinks.Other bedrooms are split off for privacy and painted with designer colors. Ready for MI! Directions: From Kaufman go north on FM 1836 ( Rand Rd) past the school and then right on Melody Home is on left.